It’s important to consider what we have and what we do and decide if it’s time for change. We will often contemplate changing things to tray and enhances our life and surroundings. This could be anything from buying new furniture to looking for a new job. This feeling often comes at certain time as the weather improves and nature itself is refreshed. One things we can do at this time to shake things up, enrich our lives and prepare us for the rest of the year is house cleaning. Going through our home, sorting, and tidying our goods lets us reflect on the past and prepare for the future. It is not an easy process though, as you will be facing a thorough cleaning job. There is a lot to do and consider, so read on for helpful advice. The first thing you need to do for such a complex process is plan everything out. You need to consider all that you have to do and what you will need in order for things to go well. Take in account each room you plan to clean and how long it should take sort and clean it. Work out what cleaning supplies you will need and purchase them in bulk so you have enough. Write up a schedule to keep you on track and you won’t have to worry about rushing, forgetting or ignoring any steps or rooms. You can assign tasks and rooms to the people in your abode so everyone has their own job to tackle. There is a lot of equipment you can need for a big home cleaning ask so you should procure everything in advance. Paper towels and cloths are essential for wiping and cleaning goods, so you should stock up on them. Having plenty of waste disposal bags will make it easy to throw old items and used cloths away. Polish and detergents will help you to make things look their best and to remove stains. A good vacuum cleaner will ensure your floors are a clean and a handheld vacuum can help you remove dirt, dust and hair from all sorts of areas and items. House cleaning isn’t just about washing things but also getting rid of items you no longer need. You may have goods that have become damaged, have been replaced, are just taking up space, are no longer necessary, etc. Keeping hold of such goods just makes your home cluttered and can increase the amount of cleaning work you have to do. When sorting your goods, consider if you really need things and if not get rid of them. You can dispose of old items in a number of ways, with throwing them away the simplest. Put things atonalistic bags as you work and you can do this easily. If you have many good or you are disposing or large items such as furniture, consider hiring a skip. Another option is to recycle these goods. Take thins to your local recycling bins or put them with your regular recycling pick up. Contact your community recycling depot to see what thy can take from you and they may even pick up items. It’s worth remembering that some goods are still usable even if you don’t need them so see of friends and family are sorted in such items or donate them to a charity store. You can also sell these goods at second-hand stores, care boot sales, online and more to make a little bit of money. 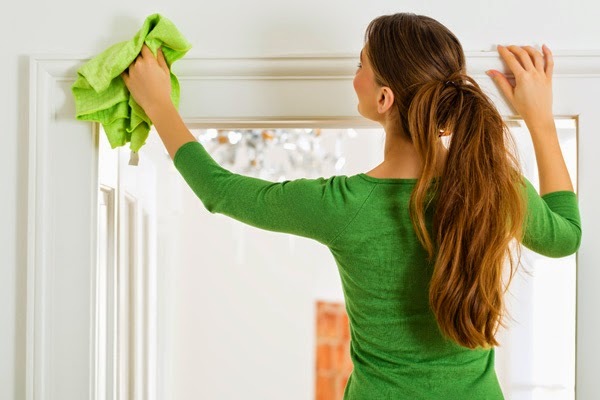 House cleaning can bring many advantages to your life, so follow these steps for a successful home clean. This article is contributed by Christine smith and posted by Rizwan Ahmad Author and founder of myfoodforu blog He is a blogger from India and he loves to share his thoughts by writing articles on the different topics related to Home Improvements, travel, food etc.